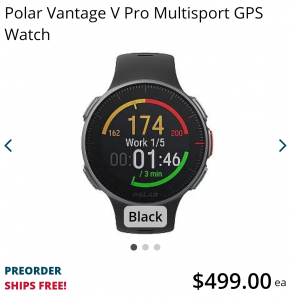 Will Polar release a Polar V800 successor this year? More and more gossip is leaking through the net. 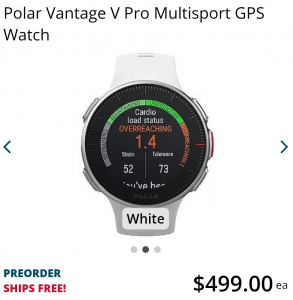 The current Polar high-end watch V800 is over 4 years old and currently Polar have not announced a successor or new watch. 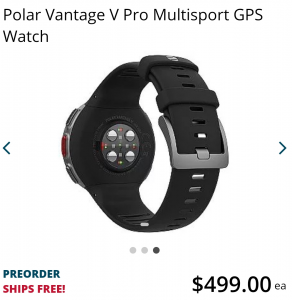 There have been roumors about a V800.next or V900 for quite some time, but in the last weeks the rumors are indicating that in fact there will be a new watch coming this year. 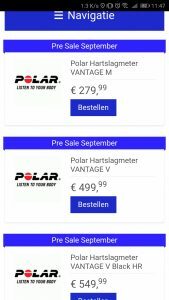 A new Polar watch have been introduced to resellers, but due to a tough NDA, they won’t tell anyone anything. Rumors are that the watch will have features unique across all competitors. 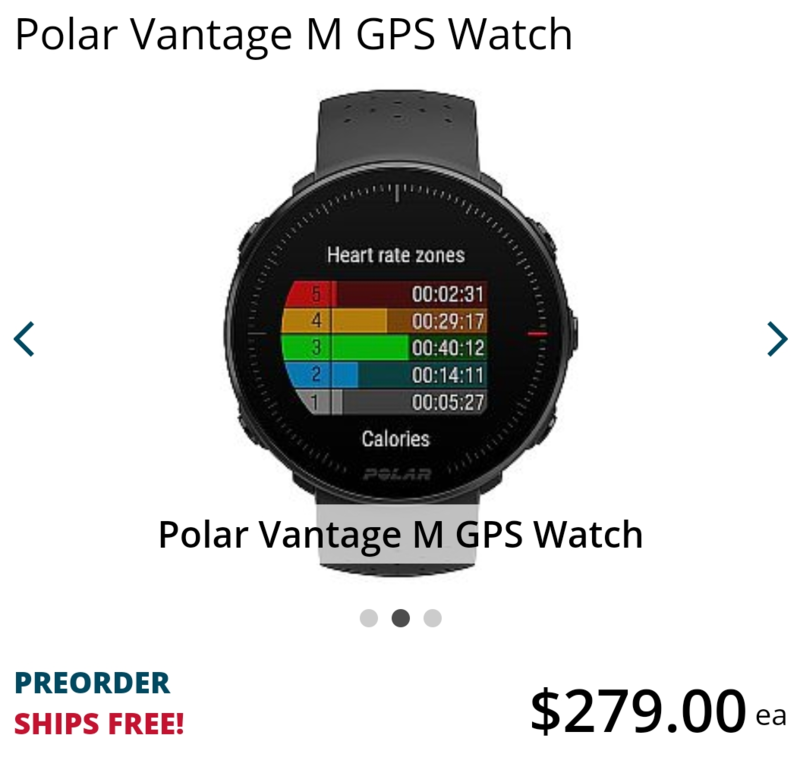 Also the watch might get a medical level wrist hearth rate monitor with red LED. Also either Flow or the app will get an upgrade (Hopefully a programming interface like Garmin). 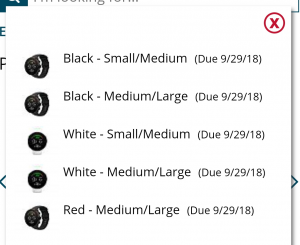 The watch will allegedly have a round watch face. Also there might be 2 version. A larger with more features and a smaller, more woman friendly, with cheaper hardware. 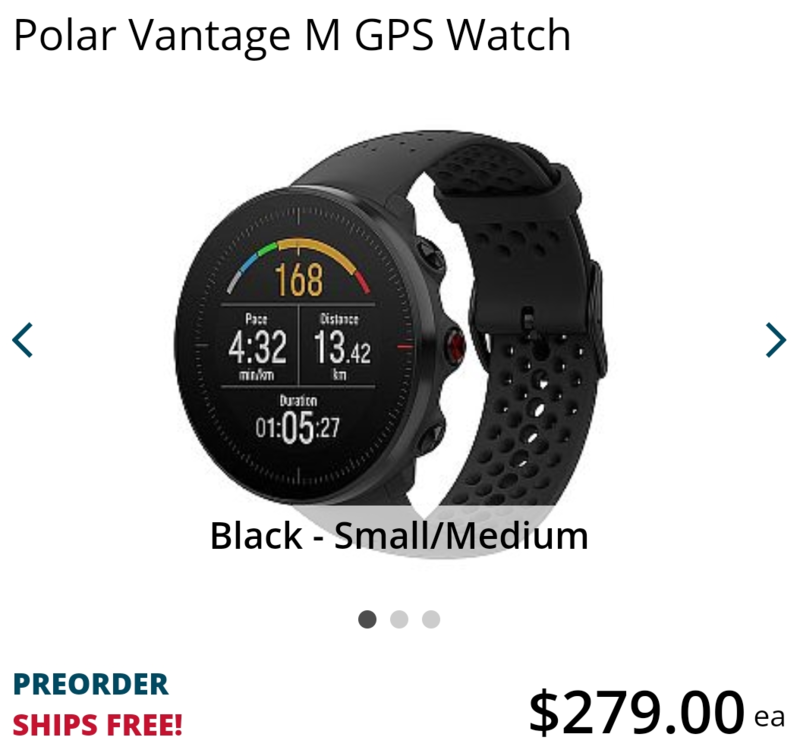 The name could be Polar Vantage V and Polar Vantage M as a homage to the Polar Vantage XL. This is emphasized by a recently registered trademark and the domain polarvantage.com, which was registered via a finnish reseller. The watch should be released last summer or fall, while other say it will be available to the Berlin marathon in September. The price is reported to be around 500€ without chest strap. I am very excited if everything turns out to the true and when the watch will be available. The Vantage M will probably be the successor of the M430 and the Vantage V of the V800. The V will have a touchscreen plus hardware buttons. 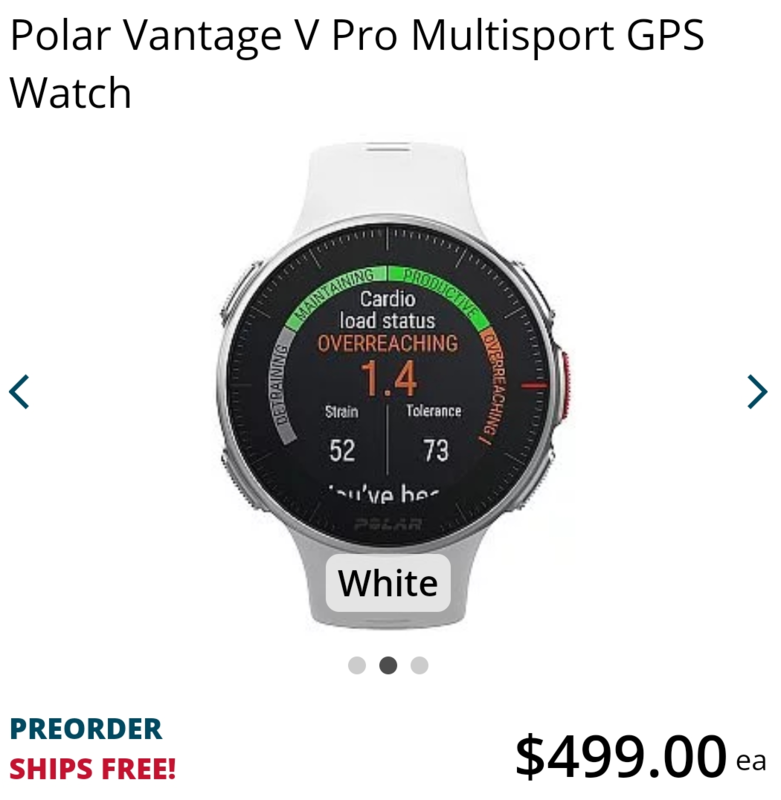 Also the battery life (most likely of the V only) allegedly will be twice that of the Suunto 9. That would be appr. 24 hours with reduced functions. Plus navigation (and maybe maps?) are reported to come. The optical HRM will measure additional metrics, but nothing specific so far. 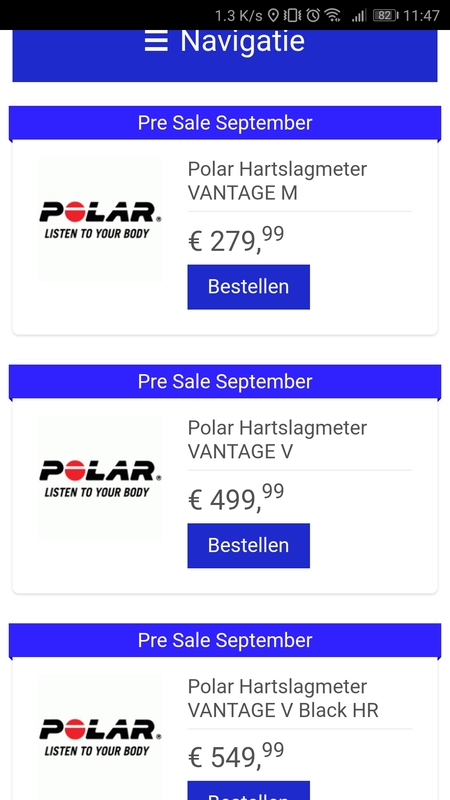 The website polarvantage.com is now reachable, but shows a parking page only. According to this forum post and news from “Der Standard” (Both in german), the Vantage M and Vantage V will both come in 2 different sizes. Also both will be available in black and white, with a Vantage V having a special edition in orange. 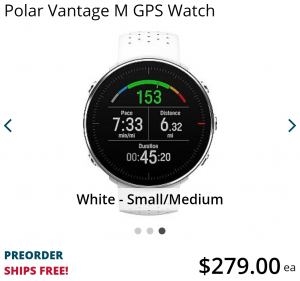 Heart rate measurement will be done with Polar’s new technology Polar Precision Prime. A technology combining optical HRM (Maybe with red LEDs reported by other sources) and measurement via skin contact. Additionally the Vantage V comes with running power metrics (Probably Watt, stride length, stride count), which is currently available with external pods like Stryd only. 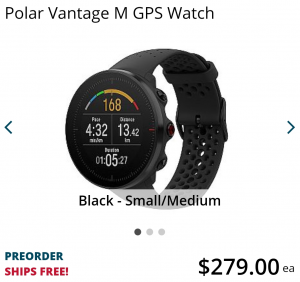 The battery life is again reported to be near the Suunto 9 or up to 30 hours. The next shop www.westernbikeworks.com released the Vantage V and Vantage M on its site. 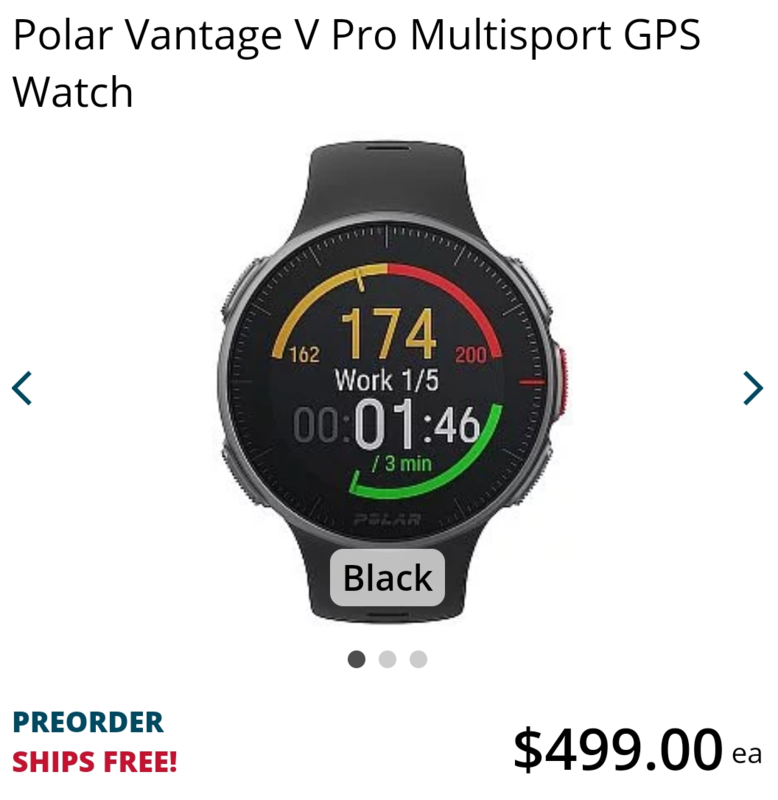 These photos confirm some of the rumors: There are 2 watches and they are called Vantage M and Vantage V. Both will have a round watch face and a color display. 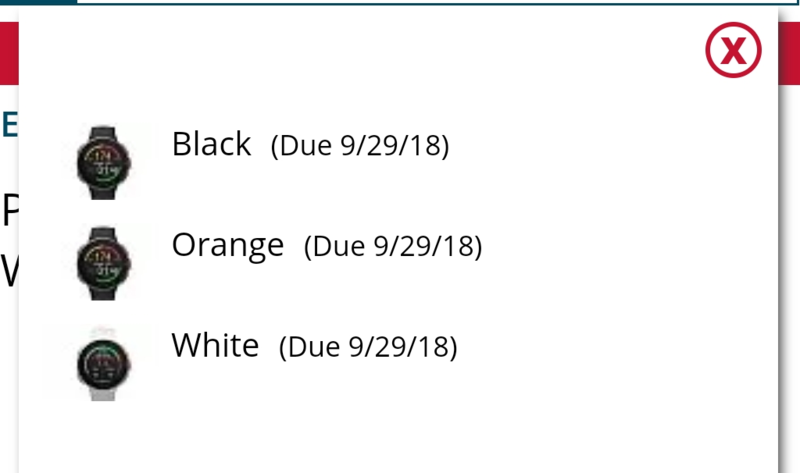 The colors for the Vantage V are black, white and orange and for the Vantage M are black and white plus a red version. Also the Vantage M will come in 2 sizes. Most likely for women are men with small wrists. I am excited to learn more about the features coming with the new watches.